If you're looking for an economical wagon with an emphasis on safety, features, fuel-economy and true off-road capability, the Outback is pretty much your best bet. My next car may not be a Subaru unless they start treating me right. 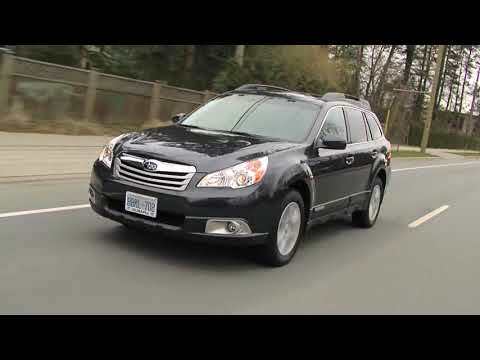 Redesigned in 2010, the outback has two major problems: the 2. 5 Liter engine fails repeatedly at about 150k, I have got a minimum of 300k from my last two Subaru's. The headlights, tail lights, brake lights, marker lights all fail constantly, causing adding time and money to either replace myself or pay someone, sometimes over $50 to replace a light. Past Subaru's were reliable to a fault; for instance I could install a high/low beam headlight in less than five minutes, now it is too difficult to do myself and too expensive to do once or twice a year. The cut gearing is a dog on the road, whining when if I need to speed up to merge with freeway traffic. The paddles on the steering wheel are a joke, because if I wanted the touch and feel of a manual transmission, I would get a performance car instead of a grocery getter. Subaru outback: a reliable hatchback worth owning. I have had this car for about a year now. I bought it used. It had around 81, 000 miles on it. So far it drives great. Handles very smoothly. Has a lot of space on the inside of the car for storage/tall people. The seat warmers are the best feature since I live in the north. The car has an excellent speaker system built in. I haven't ran into very many problems with it, but a couple wires in my driver side door went bad and caused the windows and door locks to stop working, and it is been a nagging problem for 2 months with my mechanic ordering in parts to fix it and it needing another part, a lot of having to find the time to get my car in for a couple hours, but other than this issue it is a car that I would recommend due to its reliability. This care can take you many places. The Subaru outlook is very reliable however when it does need repairs they tend to be very expensive. The features I would most like to change are the placement of the vents (for heating and air conditioning and the addition of a full size spare tire. I would also love it if they made the headlights more accessible. You have to remove the bumper to get to them and since they are halogen, they can burn out quickly if they are touched. On the positive side it is very comfortable and has taken us may fun places. It is also a very safe care which is an important requirement for me. I would definitely consider buying another Subaru.